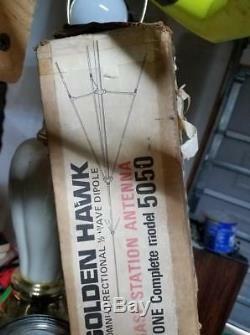 Golden Hawk Omni Directional 1/2 Way Dipole CB Base Antenna Model 5050 New-Old Stock In Original Packaging. This is an un-used new-old stock item. It is vintage but has never been removed from it's original packaging. The item "Golden Hawk Omni Directional 1/2 Way Dipole CB Base Antenna" is in sale since Monday, November 5, 2018. 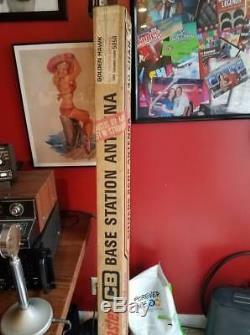 This item is in the category "Consumer Electronics\Radio Communication\Antennas\CB Radio Antennas". The seller is "jazzsinger40108" and is located in Brandenburg, Kentucky. This item can be shipped to United States.